​Lumbago is the term used to describe general low back pain. The exact cause of the lumbago is multi-faceted. The lumbar muscles are postural musculature meaning they constantly work during weight-bearing positions. 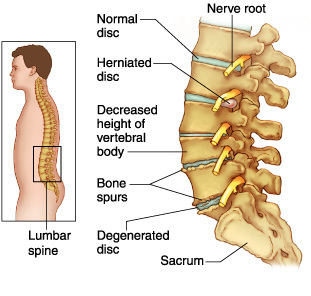 When the abdominal musculature is weak and unable to stabilize the spine during daily activities, the back musculature will attempt to stabilize the spine producing muscular pain. Posture/Body Mechanics focusing on engaging core musculature during daily activities.